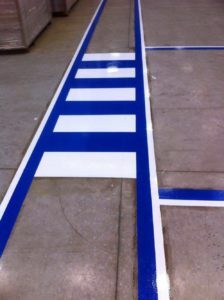 Line markings in factories and warehouses need to be able to withstand wear and the factory floor markings our team create here at Gilvar Lining Ltd are long-lasting. Safety is the key and specifying boundaries in the working environment will improve the way your business operates, as well as working with current health and safety regulations. HSE advises that if vehicles are used within a workplace, the routes these take should be separate to the routes laid out for pedestrians. If this is restricted by space and pedestrians and vehicles must share the same pathway, then clear markings must be apparent as specified in the Workplace Health, Safety and Welfare guide. This will ensure health and safety is consistently maintained, not just for pedestrians but also for workers operating vehicles or machinery, and workers on foot. 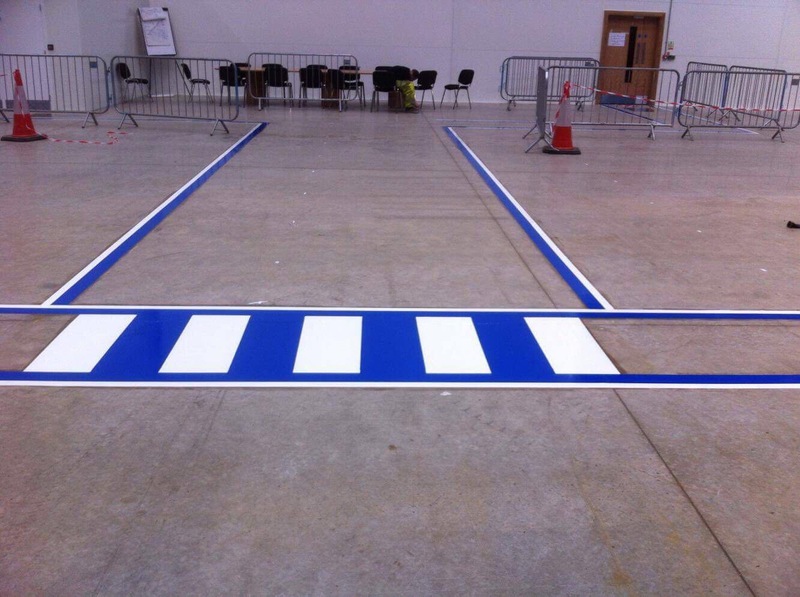 We are able to advise you on the factory floor markings suitable for your space, the best solutions for the area and the correct products to use. 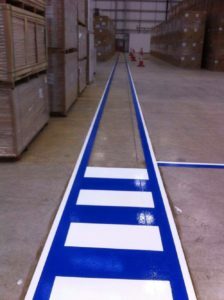 We offer a free trial of products to ensure compatibility with the surfacing and to make sure that the paint laid will hold up to the working practice of the warehouse use, putting your mind at ease that we will provide the best solution for you. Our team are able to offer expert advice on what markings can assist in the safe operating of your business as well as carrying out any work to the highest standards. For more information about how we can transform your factory into a fully functioning, safer place to work, call our team on 01283 712 450, or complete our contact form for a free quotation.